Collect coins to purchase the weekend special or cool items from my gift shop. >> Register as a BuckGuru.com Troop member. When you vote for the Weekly Special you’ll earn 10 more coins! We’ll be adding many more ways for you to earn coins in the future. 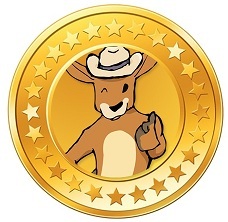 We have a Coin Mall where you can use your coins to purchase everything from an autographed picture of yours truly to a Lear Jet! And you can also cash your coins in for the $7 special of the week. Ok, so how do you keep track of your coinage? 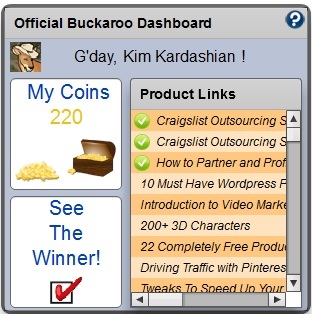 After you log in to www.BuckGuru.com look at the top right of my Living Room and you’ll see your total coins displayed. The Dashboard shows your coins, links to products you’ve purchased and a few other things. Now go forth and earn coins! I know you’re just dying for that Autographed picture of me aren’t you?